Jerri here to share a card made with some of the awesome August Release Stamps. I hope everyone is enjoying their week. Things have been busy busy around here so a quick and easy card seemed to be just what the doctor ordered. Here's a card using two of the August release stamps. 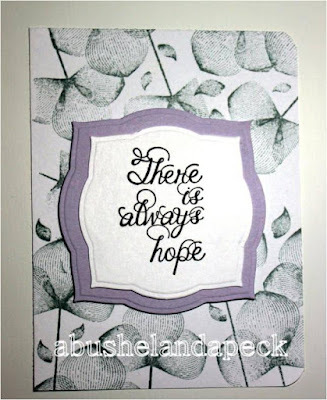 I stamped the background using Contemporary Floral Stamp #638. I used a gray ink pad and randomly stamped around the edges of my card. I used only the top portion of the stamp since the bottom of the stamp is mostly stems. For the Sentiment, I chose the new stamp called Always Hope #SD651. I stamped it on a piece of white cardstock. I cut the sentiment out with my Cuttlebug and a Spellbinders die. 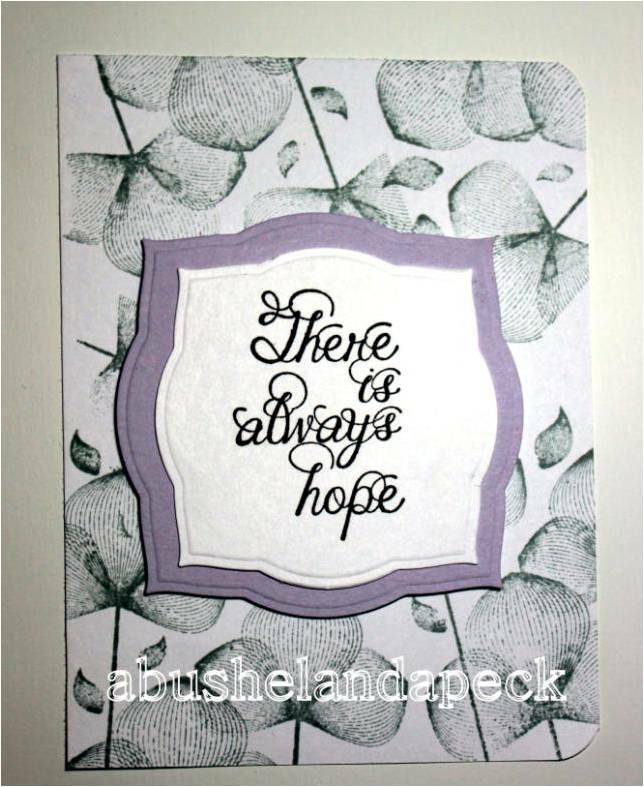 I also cut a piece of purple cardstock with my same Spellbinders die just one size larger to layer behind the sentiment. I rounded the corners of the card to finish it off. This was super easy and quick.